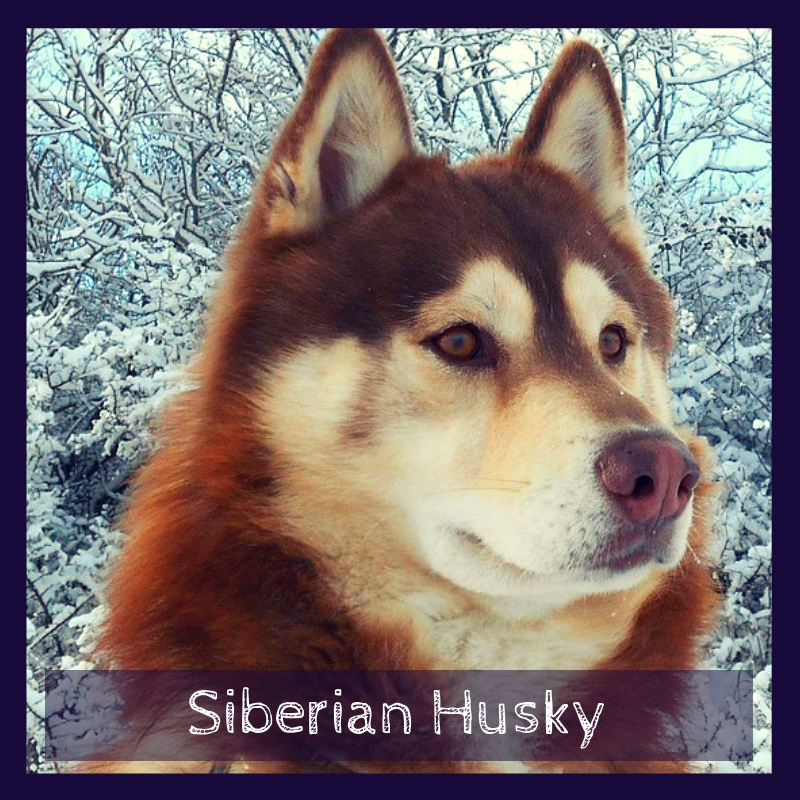 Siberian Huskies: Not Just For The Eskimos! Siberian Huskies are medium-sized dogs that were originally bred to be working dogs for the people of Northeast Asia. This distinct breed learned to thrive in the cold Siberian Arctic, but today they make excellent pets as well as a sled dog. They come in many colors including white, black, red, and copper. They can have brown or blue eyes and sometimes even one of each! The Siberian Husky breed has a double coat, thick fur, and triangular ears. They are active and energetic and are, therefore, generally not suited for apartments unless they receive proper amounts of exercise. If they do not get adequate exercise they will cause destruction in your home! They are also known to be able to escape easily from backyards so you need to make sure that your yard is secure and well-enclosed. They rarely bark and are therefore not suitable as guard dogs. Siberian Huskies are a very social and playful breed. Due to their long history of surviving in the Arctic, Siberian Huskies were bred to need little food. YourHusky, therefore, does not require high levels of calories. You should consult with your breeder and with a vet to determine what size serving to feed your husky. Typically, 1.5 to 2 cups of dry food given twice a day is an adequate amount. You should also take into account its age, size, and activity level. As always, make sure the food is high quality and that your Siberian Husky puppy is getting the vitamins and minerals that he needs. Depending on the time of year, Siberian Huskies are low shedders. However, around twice a year they will shed heavily for three weeks at a time. This occurs more often if you live in a warm climate. You will probably want to invest in a vacuum cleaner for these times! Huskies have double coats - the undercoat is soft and dense and the topcoat is straight. It is best to brush your dog once a week regularly and bump it up to once a day when they blow their coats. They are fairly clean dogs and clean themselves so they will hardly ever need a bath. If they do need a bath, use a shampoo that won’t strip the natural oils from your husky’s coat. Make sure to brush your husky’s teeth often and trim its nails once a month or as needed. As Siberian Huskies are very curious dogs, they tend to try to escape and explore. That is why it is important while taking them on walks that they not be allowed off leash! They also like to chase small animals like squirrels and rabbits so be sure you have a firm hold well walking them. They are incredibly high-energy so make sure you give them plenty of exercise otherwise you may find your house destroyed! They love to dig so be sure that they have adequate access to a digging area in the yard. They should be exercised 30 to 60 minutes every day. It is a good idea to take them with you walking, jogging, or hiking. Be sure not to overwork them in hot weather, however, as they were bred for the cold. Siberian Husky puppy requires obedience training early on, as they can be stubborn and difficult. It is probably best that you already have dog experience before considering a Siberian Husky. You need to be strong and firm while training them so that they understand that you are the alpha. Fortunately, Siberian Huskies are pack dogs and they like a clear leader, so if you present yourself correctly, your dog will be likely to respect you. 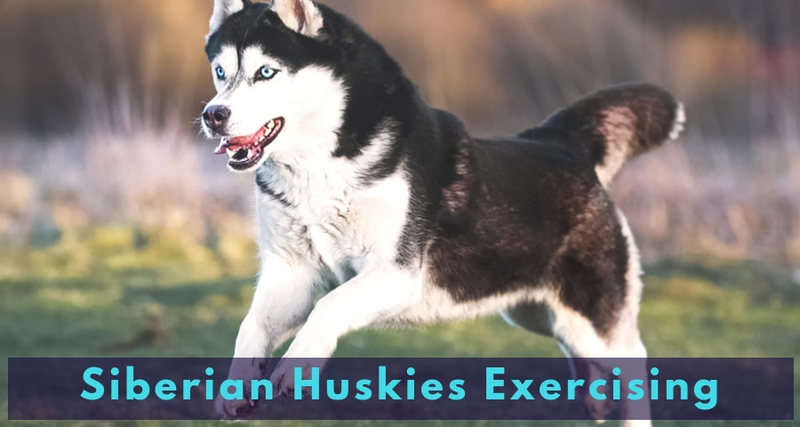 You must assert yourself around your Siberian Husky breed so be sure to be clear and consistent with your training. A good way to establish yourself as leader of the pack is to make your dog wait to eat. Crate training is recommended for when your husky is a puppy. However, be sure not to use the crate as a punishment as it should be a safe space for your puppy. Make sure to start socializing your dog early and introducing him to different people, places, and sounds. It is a good idea to enroll your husky in puppy school! Take him to parks and invite people over often to work on his socializing skills. When your dog gets a little bit older, you can take him to more advanced obedience classes as well. Siberian Huskies As Emotional Support Dogs? Siberian Huskies are very playful and loving so they can make an excellent support dog. However, they are fairly large and, therefore, not easy to travel with. They are also very friendly with strangers and require a lot of exercise and a secure, enclosed space for them to dig and play. 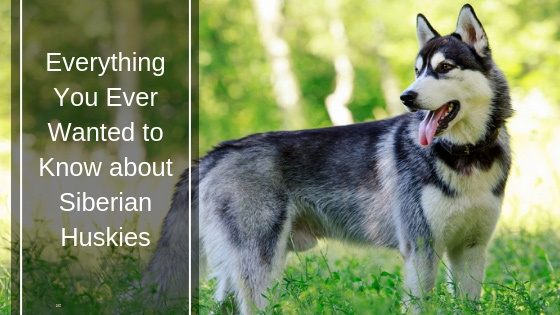 Be sure to take all of these factors into consideration before choosing a Siberian Husky as an Emotional Support Animal. If you would like to make the process of getting your Husky registered as an ESA visit this URL: https://therapypet.org/emotional-support-animal-information/. Make sure to brush your dog’s teeth often and check his ears for redness or odors. You can clean his ear with an ear-cleaner to prevent infections if you wish to take a proactive approach. Siberian Huskies are curious, affectionate, good-natured, and trusting. They tend to be good with children so they can make great family pets. It is best not to leave your Siberian Husky alone for too long so take into consideration how often your family will be able to be at home before having one as a pet.